A former ally of Aung San Suu Kyi responds to the Tibetan Buddhist teacher’s support for Myanmar’s controversial leader. 28 Nov 2018 – Dzongsar Jamyang Khyentse Rinpoche, a well-known teacher of Vajrayana Buddhism, surprised some in the Buddhist world recently when he penned an open letter of support to Aung San Suu Kyi, the head of Myanmar’s civil government accused of complicity in the military’s persecution of the Rohingya Muslim minority. The letter praises her sacrifice, courage, and principled political actions in pursuit of the rights of her people, while attacking her critics as hypocrites and arrogant colonialists pushing Western interests and values. Dzongsar Khyentse is a major figure in contemporary Buddhism. A tulku (reincarnated master) in the Khyentse lineage, he is the son of the revered Thinley Norbu Rinpoche and grandson of the influential Dudjom Rinpoche. An embodiment of the Rime (nonsectarian) movement, he is the guardian of the teachings of the Dzogchen master Jamyang Khyentse Wangpo, as well as an accomplished filmmaker and author of popular English language expositions of Buddhism. His support for Suu Kyi comes on the heels of a September report by the Independent International Fact-Finding Mission on Myanmar that said the violent campaign against the Rohingya amounts to genocide, a claim supported by several human rights research and documentation bodies around the world. The report, released at a UN Human Rights Council meeting in Geneva, stated that Suu Kyi and her civilian government had “contributed to the commission of atrocity crimes” through their “acts and omissions.” As a result of mounting allegations of culpability, Suu Kyi, who was once lauded for her activism on behalf of democracy in Myanmar, has been stripped of multiple awards, including the US Holocaust Museum’s Elie Wiesel Award, her honorary Canadian citizenship, and Amnesty International’s human rights award. In response to Dzongsar Jamyang Khyentse Rinpoche’s letter, Maung Zarni, a Burmese Buddhist, pro-democracy activist, and former ally of Suu Kyi, and I have co-authored an open letter challenging what we view as faulty narratives, misinformation, and questionable reasoning in Dzongsar Khyentse’s letter. In a November 16 letter, you expressed your “deep respect and appreciation” for all Suu Kyi has done “to fight for your people’s freedoms.” You call her a “true heroine of this age, more than worthy of the Nobel Prize and other honours” and say you are “appalled by the removal of awards” she received. You argue that this is a “blatant double standard,” citing the reception of a Nobel Prize by former US President Barack Obama despite his use of drone warfare against Middle Eastern civilians. I (Zarni) am a child of a Burmese Buddhist family with close ties to the military. I grew up with intense pride and deep reverence for the Buddhist tradition and spiritual culture of Burma. After coming to the US to study, I founded the Free Burma Coalition to support the struggle for democracy in Burma and became a hardworking supporter of Suu Kyi, inspired by her personal courage and the mixed discourse of Buddhist loving-kindness and human rights. But early on I began to suspect that she was an ethnic nationalist and a Buddhist chauvinist, more concerned for her own legacy and the interests of the Bamar majority than she was for human rights and a true democracy for all the peoples of Myanmar. In April 2016, Suu Kyi assumed the position of State Counselor. She quickly morphed into a key actor in the longstanding oppression of Myanmar’s Rohingya people. Since then I have been a fierce critic of my fellow Buddhist dissident, who now acts in a joint partnership with our former common oppressor, Myanmar’s murderous military, the Tatmadaw. According to statistics from the United Nations’ International Organization for Migration (IOM) earlier this year, 898,000 Rohingya refugees who have fled violence in Myanmar currently live in Cox’s Bazar in Bangladesh. Of them, 686,000 have arrived since August 2017, when the government launched a coordinated military-led campaign of arson, murder, and sexual violence against their communities in Myanmar’s Rakhine State. This assault, according to human rights organization Fortify Rights, was deliberately prepared for months in advance by the Tatmadaw. Many Rohingya, faced with proposals over the last year to repatriate them to the country where for decades they faced systemic discrimination and the deliberate deprivation of basic human rights, have said that they would sooner die in Bangladesh. Related: Who is the Real Aung San Suu Kyi? Rinpoche, you cite atrocities committed by Western governments past and present and accuse the modern West of hypocrisy for criticizing Suu Kyi. First, the criticisms of Suu Kyi do not only come from the West but also from people all over the world who oppose the kind of brutal oppression the Myanmar state has subjected the Rohingya to. Second, you erase the distinction between Western non-governmental bodies and activists on the one hand and Western governments on the other. By your logic, the Swedish Nobel committee, local bodies like the Oxford City Council, or Suu Kyi’s own alma mater (St. Hugh’s College, Oxford) cannot criticize human rights abuses if the governments of Britain or Sweden have ever committed atrocities (which of course they have). You lump together governments, private bodies, and activists under the simplistic rubric of “the West.” These kinds of generalizations can become fodder for muddled thinking and racism. 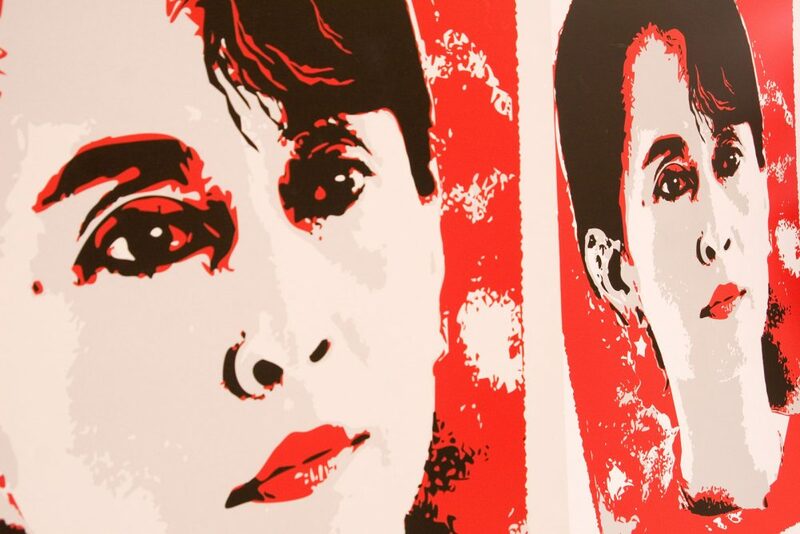 After all, many of the Western activists and human rights organizations who have criticized Suu Kyi have also spoken out against the violations of Western countries, and continue to do so. They have also confronted the Chinese state for its persecution of Buddhists and embraced efforts to preserve traditional Asian culture and values, such as the Gross National Happiness initiative in Bhutan. A more sober assessment of global politics would recognize that all cultures have committed atrocities and that many have fallen into the temptations of militarism, racism, and colonialism. You present the “noble tradition” of the East as opposed to the ignoble tradition of the West despite the fact that “our East” has as many murderous and colonizing legacies as “their West.” This way of framing the Rohingya crisis and criticism of Suu Kyi does more to obscure the matters at stake than to clarify them. In setting off West against East, your letter focuses on a clash of civilizations instead of the real problem: a clash of values. The true battle is between those who embrace values of nonviolence, compassion, and justice—which the best traditions of both West and East argue for—and those who put first their race, the defense of their traditions, the accumulation of capital, or other divisive values. While we sympathize with your criticisms of the hypocrisy, arrogance, and colonial legacy of many Western countries and share your concern for the way that the “capitalist system” is swallowing diverse global cultures, we balk at your emphasis on the Western nature of what is destructive in the world today. The problems we face—growing fascism, violent racism, nationalism, tremendous gaps of wealth between the rich and the poor, the destruction of our shared ecosystem and the destruction of both ethnic and zoological diversity—are now global problems exacerbated by the worldwide embrace of misguided policies that are often championed by those who hold power and wish to cling to it. The current conflict in Myanmar embodies this adoption of destructive policies, in which the fires of ethnic disputes have been stoked in order to consolidate power for the military and business elite. Toward the end of your letter you say that “nothing I write here denies the suffering of the Rohingya people,” but you argue that instead of blaming Suu Kyi, the British “should be taking responsibility for bringing the Rohingyas from Bengal in the 19th and 20th centuries as cheap labour” and suggest that the UK should take in the Rohingya refugees themselves. Here you are referencing a false narrative, popular in Myanmar, that claims that the Rohingya are not a native ethnicity but rather Muslim Bengali laborers who never went home and who now want to undermine the Burmese Buddhist state. This ahistorical propaganda is used to justify discrimination and violence against them. Suu Kyi has signaled that she accepts this narrative with her refusal to use the name “Rohingya,” a title by which they refer to themselves and that reflects their centuries-old history in the country. In fact, the Rohingyas’ presence in the region long predates both the arrival of British colonial rule in 1824 and the emergence of Myanmar as a nation-state in 1948; thousands of Rohingya have been living in the western Arakan Kingdom, now Rakhine state, since the 15th century. Aside from the fact that there were no national boundaries as such in the 18th and 19th centuries, in the pre-colonial societies of the time, demographic and geographic fluidity was the norm. Arakan, or Rakhine, the fertile coastal region of the Bay of Bengal, was a multi-ethnic, multi-faith society until Bamar invaders arrived. Their forces destroyed the nearby kingdom in Mrauk-U and then expanded, annexing Arakan in 1785. Although international attention has focused on the plight of the Rohingya, their persecution is only the most egregious symptom of the interethnic conflict that afflicts Burma, a violence fueled by the Bamar supremacism of the ruling government and the oppression it directs at the Shan, Kachin, Karen, Mon, and other historic peoples of Myanmar. Arguably, the idea of an ethnically pure nation-state is a product of the very colonialism you claim to decry. The #MeToo movement arose because powerful persons used their positions to sexually harass and assault women (as well as some men) and then manipulated or threatened them into keeping quiet about it. If anyone in Myanmar personifies the #MeToo movement, it is the Rohingya women and girls whom the Tatmadaw has gang-raped and murdered. Suu Kyi has publicly stated that these rapes did not occur, making her an enabler of the kind of violence that the #MeToo movement arose to stop, not a victim of it. In this situation, it is Suu Kyi herself who is a powerful abuser aiding other powerful abusers. Moreover, we find your attempt to co-opt the #MeToo movement to be acutely disrespectful of both the Rohingya victims of sexual violence and of all the courageous women who stood up to say “me too” to call sexual abusers to account around the world. After this quick reference to #MeToo, you then suggest it may be time to seek out “the Westerner’s weak spot” in that “they don’t dare criticize Muslims or Jews for fear of being called Islamophobic or anti-Semitic,” so “perhaps we need to coin new words for anti-Buddhist or anti-Asian bias to evoke their guilt.” Western countries are particularly sensitive to the Holocaust because so many of us were complicit in the deliberate, state-sponsored murder of six million Jews only 70-odd years ago. We are sensitive to Islamophobia both because of the recent warfare between Western governments and historically Islamic ones, and also because of real problems with violent Islamophobia in western countries, such as the mosque shooting in Canada in 2017. There is a great irony in your writing this at a time when the United States government has tried to impose a ban on Muslims entering the country and when heated anti-Muslim and anti-Jewish rhetoric has been normalized. To close, we would like to call attention to one voice that is almost totally silent in your letter: the Rohingya themselves. Though your letter is really aimed at “Western” critics of Suu Kyi, the chief resistance to the genocide, and the primary critics of Suu Kyi and the Myanmar state, are not Westerners; they are Rohingya activists like Nural Islam, Razia Sultana, Tun Khin, and Nay San Lwin, to name a few, as well as groups like The Free Rohingya Coalition and Arakan Rohingya National Organization. Many of these Rohingya have been fighting for the last four decades against their impoverishment and oppression at the hands of the Myanmar state, and no one was more pleased by the revocation of Suu Kyi’s awards for human rights activism than they. While there is always room for criticizing specific policies of a specific Western country or institution, when you paint matters with as broad as a brush as your letter does, opportunities for grappling with injustices in the real world are replaced by harmful meta-narratives that, to our mind, simply stoke the fires of conflict and division. It would be more fruitful for those opposed to colonialism, racism, violence, and injustice around the world to work together rather than to close ranks against each other. Your claim that Western institutions are guilty of colonial violence, both gross and subtle, is true. So is the claim that the Myanmar state and Aung San Suu Kyi are guilty of genocidal violence. Instead of putting these truths in opposition to each other, why not join hands to fight against injustice everywhere? Why not recognize greed, hatred, and delusion wherever they rear their ugly heads and create an international coalition of generosity, love, and clarity? 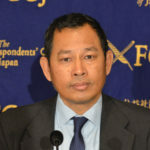 A Buddhist humanist from Burma, Maung Zarni is a member of the TRANSCEND Network for Peace Development Environment, former Visiting Lecturer with Harvard Medical School, specializing in racism and violence in Burma and Sri Lanka, and Non-resident Scholar in Genocide Studies with Documentation Center – Cambodia. 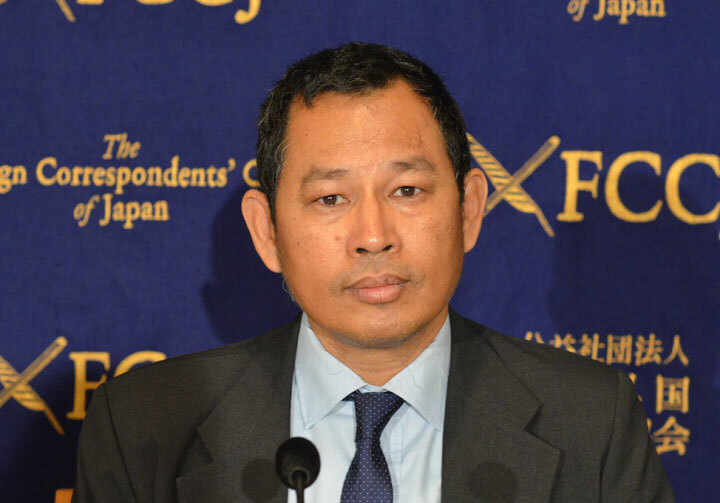 Zarni is coordinator for Strategic Affairs for Free Rohingya Coalition and an adviser to the European Centre for the Study of Extremism, Cambridge, UK. His analyses have appeared in leading newspapers including the New York Times, The Guardian and the Times. Among his academic publications on Rohingya genocide are The Slow-Burning Genocide of Myanmar’s Rohingyas (Pacific Rim Law and Policy Journal), An Evolution of Rohingya Persecution in Myanmar: From Strategic Embrace to Genocide, (Middle East Institute, American University), and Myanmar’s State-directed Persecution of Rohingyas and Other Muslims (Brown World Affairs Journal, forthcoming). He holds a PhD (U Wisconsin at Madison) and a MA (U California), and has held various teaching, research and visiting fellowships at the universities in Asia, Europe and USA including Oxford, LSE, UCL Institute of Education) , National-Louis, Malaya, and Brunei. He is the recipient of the “Cultivation of Harmony” award from the Parliament of the World’s Religions (2015). Matthew Gindin is a journalist and meditation teacher in Vancouver, British Columbia. A former monk in the Thai Forest tradition, he is the author of Everyone in Love: The Beautiful Theology of Rav Yehuda Ashlag. “Like Fish in a Pool with Little Water”: Who Will Help the Rohingya?